Denair Vendors in the Park will be hosting their monthly event this Sunday, October 13, 2013, from 10:00 am to 2:00 pm, in Sterling Ranch Park, the corner of Salluce Drive and McCauly Drive. 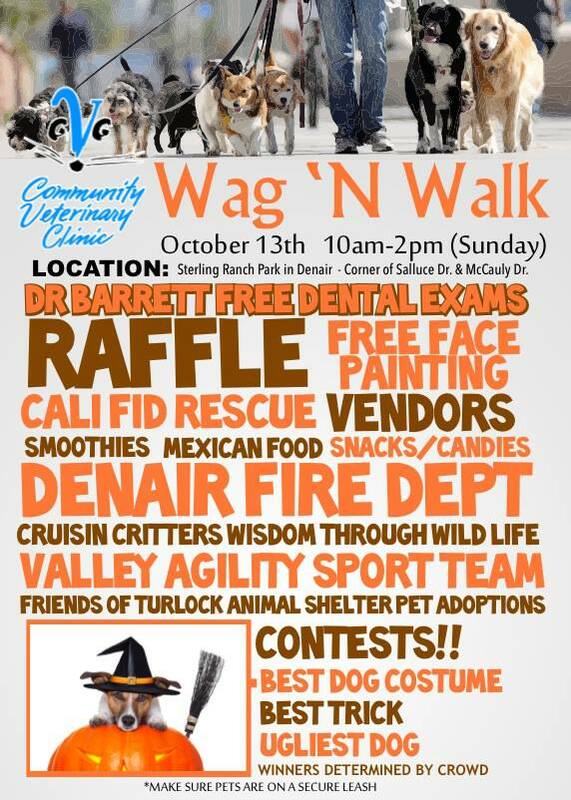 Come on out and bring your four legged friends to support Community Veterinary Clinic and Friends of Turlock Animal Shelter with Denair Vendors in the Park Wag ‘N Walk event! 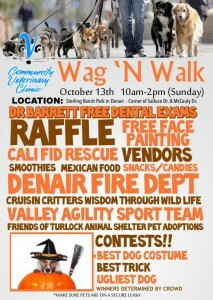 Free Admission, Free Dog Contests, Free Face Painting, Free Doggie Dental Exams, Free Entertainment! Over 50 Vendors will be on hand for your shopping enjoyment. Vendors Booth cost is $20 for a 10×10 space. Vendors need to be set up between 7:00-9:00 am and move vehicles across and down street to allow for other unloads and customer parking. Dog Walk Participants are $20 per family and you will receive one free goodie bag at the end of walk. Sign-up will begin at 10:00 am through 10:45 am. The Dog Walk will start at 11:00 am. Winners will be determined by audience. For Vendor Opportunities contact Mel DeSouza with Denair Vendors in the Park “Vendors Events” Group Page.